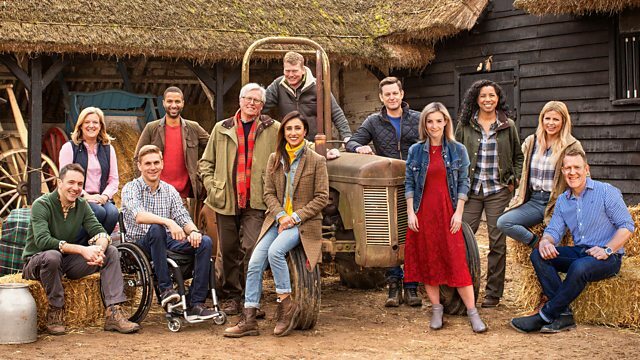 Julia Bradbury and Ellie Harrison head to Worcestershire to learn how it provided the inspiration for The Archers, while John Craven looks at rising house prices in the Cotswolds. Julia Bradbury and Ellie Harrison head to Worcestershire to find out how it provided the inspiration for Britain's longest-running soap opera The Archers. Meanwhile Ellie looks at what life is like for Britain's real Archers - the people who work the land. John Craven is in the Cotswolds, where the gap between earnings and house prices is bigger than ever before. Plus, as his cattle face yet another test for bovine TB, Adam Henson is on a mission to find out if vaccinating cattle against the disease could be a solution to the problem.